This is an intriguing finding from the world of “priming”. Priming has a big impact on how we respond to other people – what we think of them and whether we like them. Solomon Asch (Williams and Bargh 2008) discovered some time ago that if we experience physical warmth just before meeting someone we are likely to regard them as a warm person, with the attendant benefits of trust, comfort, liking, etc. 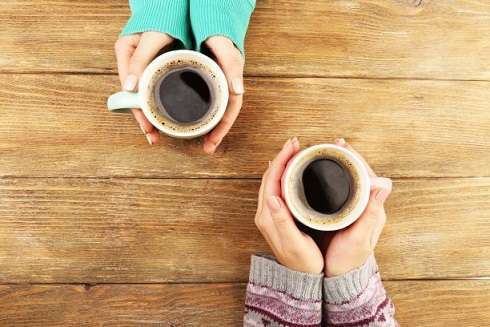 Williams and Bargh more recently asked people to briefly hold a cup of coffee just before they interviewed candidates for a job. Some of the interviewers were handed a hot coffee, some were handed an iced coffee. After the interview they were asked to rate the candidates on a range of scales, including whether the person was “warm or cold”. The interviewers who held the iced coffee rated the candidates significantly lower on warmth than those who held the hot coffee. Kind of scary if you happen to be a candidate, and it also suggests that it is a good idea to get interview room temperatures right. They also found that interviewers’ ratings of candidates were significantly affected if they were seated on soft or hard seats, or if they were asked to take notes on impressive, substantial folders rather than flimsy, insubstantial ones. What this shows us is that with the best will in the world human beings are affected in their decisions by a staggering range of unconscious influences. Maybe it is not so surprising that psychological assessments have been shown for decades as being much more accurate predictors of success and failure at work than interviews. If you want to learn more about psychometric assessments click here.